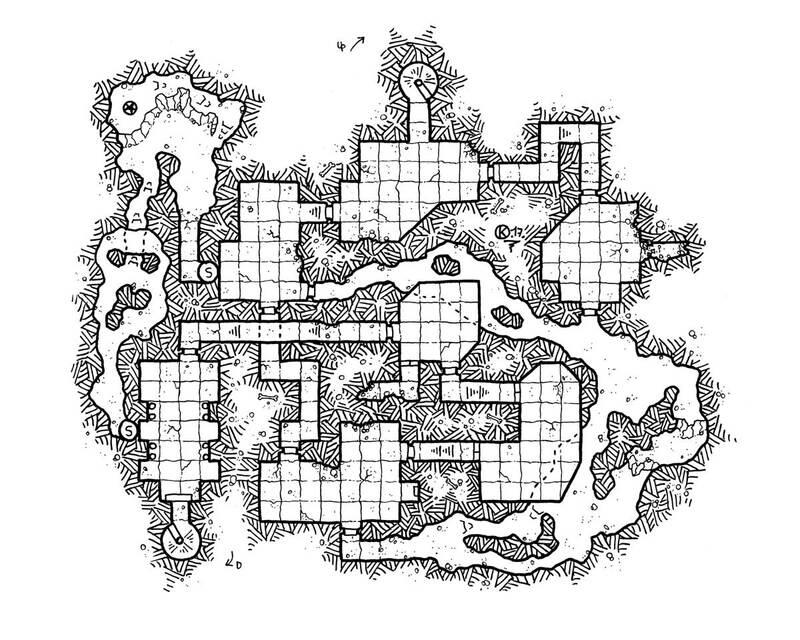 Here is another map for the modular dungeon. This time caves and dungeon rooms intermingle to create a non-linear level. Not to mention a small secret passage for the initiated, guarded by their idol, which greatly saves time to cross the level.